Want to become a teacher? Click here to learn more! Jaclyn is so excited to be working with Laurie Berkner and the Music in Me program! Through the past few years, Jaclyn has found infinite joy in entertaining and educating young children through music programs around Manhattan and Brooklyn, and is currently writing her own children's album as well. Apart from children's music, Jaclyn is currently releasing an independent album with her original funk band The Shakey Tables. A native New Yorker, Molly Rose Hoenig has been singing her entire life. 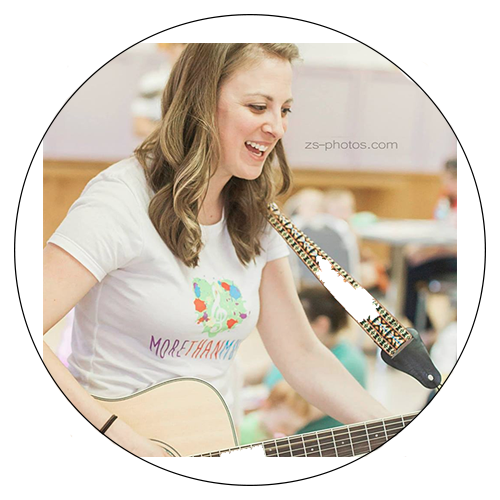 After studying choral and vocal education and psychology at college in Ohio, Molly Rose returned to New York City and has been teaching music to young children and general preschool classes ever since. "I believe that developmental goals can be met through learning and making music," Molly Rose notes. As an instructor for Laurie Berkner's The Music in Me, she centers classes around her guitar playing, engaging children with songs while they develop both musical and motor skills. When teaching young children, Molly Rose emphasizes the importance of being patient and understanding. "I try to react to the needs of each child, in every moment. It is so important to be aware of how children are reacting to an interaction, especially when they cannot yet verbalize it." With interests in folk and bluegrass as well as classical and popular music, Molly Rose augments her own traditional choir singing with shape note and barbershop styles. Outside of teaching, Molly Rose is active singing, going to shows, and volunteering. Diana Fox is a singer, actor, and songwriter living in Brooklyn. She studied theater performance and psychology at Lewis & Clark College and has been singing, playing guitar and flute, and acting since she was young. She has worked as a performer and teaching artist with the New York City Children's Theater and has been an intern at numerous theater companies in New York and Portland. She loves to help children express themselves through the arts, especially music and theater. She also loves to sing and play jazz, musical theater, indie rock and folk music. She is thrilled to be working with Laurie Berkner and to have the opportunity to be a part of the Music In Me! Jenn Ekman is excited to be a part of Laurie Berkner's The Music In Me family! Singing from a young age she has a background in classical and musical theatre. In high school she attended a number of prestigious summer programs including Georgia's Governor's Honors Program (as one of the top six altos in the state), Carnegie Mellon's Summer Musical Theatre Conservatory, and New York City's Michael Howard Studios Summer Conservatory for Actors. Jenn is a graduate of Ithaca College with BA in Drama and a Minor in Vocal Performance. Raised on the East Coast, she moved to the Bay Area in 2001 and jumped right into the musical theatre scene. Since then she has performed in over 30 musicals (both community and professional), and worked for a non-profit (with boys ages 6-18) for nine years. Now a Stay At Home Mom, she currently sings with a women's a cappella group at the St. Francis Yacht Club in San Francisco called The High Seas, performing mostly jazz repertoire. She is also starting to make a name for herself in the Bay Area's cabaret scene performing at numerous venues in San Francisco. Her most recent project is a children's band called The Dilly Dallies. They perform original music for children all over the Bay Area. Jenn's now very excited to have the pleasure of sharing Laurie Berkner's music as well. Music makes her heart sing! Steve Slater has been playing drums for nearly twenty-nine years. After participating in his high school’s marching and symphonic bands as well as starting a variety of bands with friends, Steve went on to college to study music. He attended Santa Barbara City College where he studied with Jon Nathan. Excelling in every ensemble the school had to offer, including Big Band, Small Jazz Ensemble, Symphony and Concert Band, Steve was asked to play drums for the songwriting class, electronic music class and various instructor ensembles. The capstone of his time in Santa Barbara was teaching the drum portion of the summer jazz program for the college. Steve then transferred to San Jose State University, where he studied with Tony Cirone of the San Francisco Symphony and Galen Lemmon of the San Jose Symphony. He pursued his first professional position as a percussion instructor at Allegro Music in Fremont in summer 2000. Steve continues to teach private lessons at Allegro Music, and he opened his own studio in Fremont called School of Drums. Shortly after beginning to teach private lessons he was recruited to lead the drum line at Mission San Jose High School and has done so for fourteen years. Steve is also the music instructor at The Child Unique Montessory Elemntary school in Alameda, CA. Teaching music theory and perfomance to children between the ages of 5 and 12. In addition to working as a music instructor, Steve plays drums in three San Francisco Bay Area rock bands as well as for his own jazz ensemble, Park St. Trio, based out of Alameda. He is the primary songwriter for Park St. Trio, which has released two albums of original music. Most recently Steve has been songwriting, singing and playing baritone Ukulele in a children's band called The Dilly Dallies. Jay is very excited to be joining The Music In Me family. Jay currently lives in Northern Virginia with his daughter who is also a huge Laurie Berkner fan. While growing up Jay studied guitar and piano, and sang in various choirs from a young age and decided to take his studies to the college level at Shenandoah University where he studied music therapy. As a Board Certified music therapist Jay works with individuals with intellectual disabilities, behavioral and emotional disturbance, and various hospital units. Jay also teaches private music lessons in his hometown where he teaches mostly children and adolescents and is looking forward to begin working with preschoolers to develop their own musical journeys. Michelle Flaherty has been playing music, singing and recording since she was a young child! To be able to keep music alive in her life as an adult, through working with Laurie Berkner and The Music in Me program, fills both her personal and professional life with excitement! 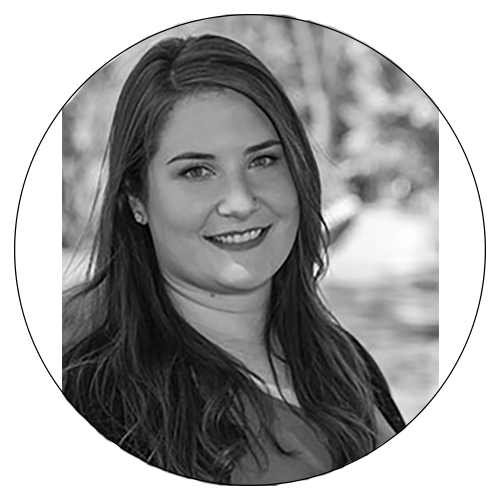 A graduate of Mercyhurst University, Michelle studied early childhood and special education, and has been working as an early childhood educator in Erie, Pennsylvania. She has written and recorded her own album and can be found at weddings and sweet 16 parties as a hands-on, fun loving Disc jockey! Michelle understands that music, rhythm, and intonation are powerful methods of learning, and helping children grow and develop through music has been a rewarding part of Michelle’s life. Courtney is thrilled to be able to share Laurie’s music with children and families through the Music In Me classes. Courtney received her bachelors degree in Music Education at Miami University and her Masters degree in Music Therapy from Southern Methodist University in Dallas, TX. She worked as a music therapist at Rainbow Babies and Children’s Hospital for 4 years and is currently a preschool music teacher in Chagrin Falls, OH. She has two beautiful children and a husband whom she has been married to for 11 years. She loves to sing and share her love of music with others. My name is Stacy Magin. I live in South Florida with my husband and our two little girls. I graduated in 1998 with my Montessori certification and have been educating children ages 3-6 for 17 years. Since 2015, I have been a Licensed Laurie Berkner's The Music in Me Teacher and I am currently teaching classes in Broward and Palm Beach County. I get such joy interacting with the children through music My hobbies and passions include playing with my children, yoga, dancing and of course playing guitar! All teachers completed a training weekend with Laurie in order to enrich their own music classes. Hilari Stahler, a Board-Certified Music Therapist, has dedicated her career to exploring how the arts can inspire growth in children of all abilities. After working at a school for children with autism for seven years, Hilari founded More Than Music, LLC. She has been extensively trained in early childhood music development, holds a bachelors degree in Music Therapy, and recently completed Laurie Berkner's "Music in Me" Certificate program. She has been active in drama, music, dance, and visual art since childhood, and believes whole-heartedly in their power to motivate and bring about growth. She currently teaches "You&Me" early-childhood music classes, and most recently has introduced "Draw me a Song" music and sensory-art classes for toddlers and children. In addition to group work, she facilitates individual music therapy sessions as well as piano, guitar and violin instruction. Andrea Soberman, early childhood educator, preschool specialist, is Director of Musical Munchkins®, an early childhood music program that offers classes for babies, toddlers and pre-schoolers in Orange as well as birthday parties in Orange County, New york. Andrea Soberman (“Miss Andrea”) has been teaching classes for the past 21 years. She graduated from Brooklyn College with a degree in Early Childhood Education with graduate studies in music and art. She taught Pre-K through 2nd grade before joining the staff of Musical Munchkins . Andrea studied voice and guitar in Philadelphia and New York, and has been a children’s entertainer, performer, storyteller and clown. 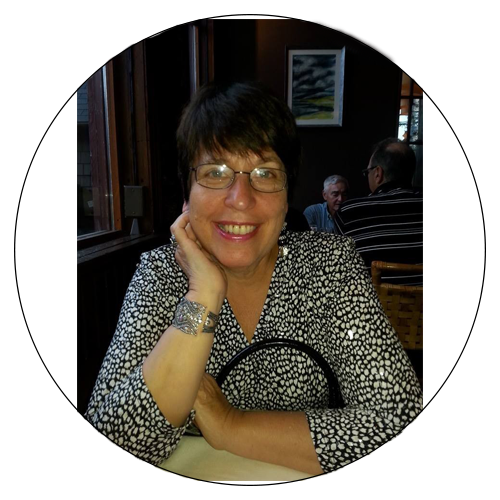 Andrea has given music workshops at local early childhood educational conferences, and has performed at local libraries, daycares and concert venues throughout the beautiful Hudson Valley . She is very excited to have been recently certified to teach Laurie Berkners The music in me program, and bring it to all of her Musical Munchkin families. Joanne is the Director and Owner of Musical Munchkins of New Jersey. Thirty years of experience in child development has helped her to establish a program for toddlers and preschoolers to explore their natural musical abilities. Her passion for the environment, children and music merged early in her career when she began teaching a program called Eco-Arts in Westchester County. An environmental program designed to teach children how to be kind to the earth and those who inhabit it. Quickly gaining recognition by the community, it was featured on local news stations as well as headliners at river town events such as the Yonkers Riverfest. While a parent herself Joanne found joy witnessing her daughter learn something new and would bring her to many early childhood programs, her favorite being Musical Munchkins of Westchester County. It was this passion for discovery that led Joanne to begin teaching Musical Munchkins and offering age appropriate classes for babies up to 4 years of age. 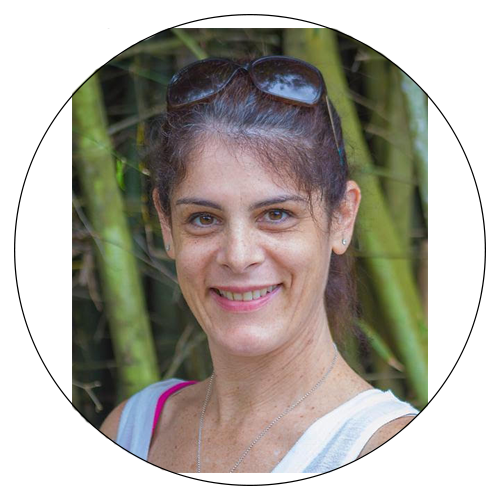 She has now been teaching in New Jersey for 14 years with locations in Ridgewood and Emerson. Joanne also does library programs throughout Bergen County and her parties are too much fun! She is so happy to be including Laurie Berkner’s wonderful songs into her program as well as into the lives of her grandchildren!